It was the summer of 2002. The wind was howling on the Niagara Escarpment as busloads of wine journalists and dignitaries arrived to a tidy clearing in the middle of a young vineyard where a giant white tent had been erected. The juggernaut that was Vincor was on a roll, collecting wineries, vineyards and assets like a kid collecting candy on Halloween night. But this was different. Le Clos Jordanne was unlike anything else in Canada at the time. Burgundian-style Pinot Noirs and Chardonnays, meticulously crafted from grapes grown in pristine estate vineyards, promised to lift the reputation of an industry desperate for attention on the world wine map. With gasps from many who had gathered on that day in July, Vincor, along with its French partner Boisset, unveiled a Frank Gehry winery design that was to be built in this very spot. And it was breathtaking. The design for the great hall called for a series of floor-to-ceiling glass columns soaring dramatically from their base in the underground cellar. Visitors would be guided through the winery via suspended catwalks and pathways at and below ground level. It was to be sited in the centre of Le Clos Jordan’s main namesake vineyard surrounded by an environmentally protected forest and woodlands that was hidden from view, some 1,500 feet from the nearest road. As visitors drove to the edge of the vineyard, the winery would slowly reveal itself, complementing the landscape as a gently flowing structure with softly curving white stucco walls and an undulating metal roof, reflecting the natural landscape and the sky. 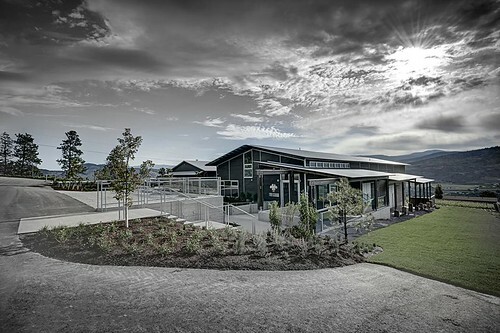 It would be the grandest of all wineries in Canada once it was completed by 2010. The clearing in the Le Clos Vineyard where Gehry’s winery was to be built has long been planted over with more vines. That Gehry-concept winery dream died long ago. And it would be a few more years before the dreams of all the men who built Canada’s largest wine company would also suffer the same fate. But what a ride it was. It also developed Le Clos Jordanne (in partnership with Boisset, vineyard above in photo) and the Okanagan’s Osoyoos Larose (in partnership with Groupe Taillan). I caught up with some of the key Vincor dreamers, the men who shaped the Canadian wine industry, and found not many of them have gone gentle into that good night. The mastermind behind Vincor, Donald Triggs, resigned from the company the day after Constellation bought it. “I think I’m going to live 10 years longer,” he reflects today. One of Triggs’ greatest disappointments was losing the 95-acre Delaine Vineyard in Niagara he and his wife Elaine had worked so hard to plant and nurture. Constellation insisted that it was part of the deal, and crucial to the top-tier wines at Jackson-Triggs. “We didn’t want to sell, but Constellation made it a final condition of the sale,” Triggs said. There was only one thing left to do; build his own dream winery. 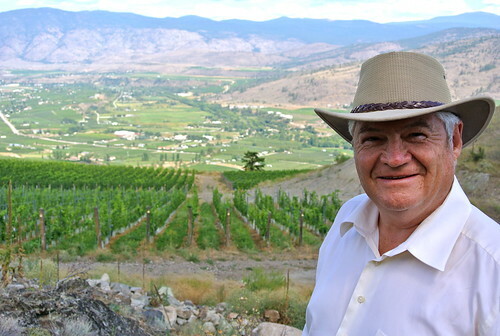 Triggs and his wife spent a year looking for vineyard sites in Ontario and B.C. before settling on a piece of property in the South Okanagan, better suited for his beloved Bordeaux-style reds. Culmina Family Estate Winery is located on the Golden Mile Bench. The new state-of-the-art winery is situated on the recently developed vineyard estate purchased by the Triggs in 2007 after an exhaustive search to locate the perfect land to develop icon quality wine. The first vines were planted in 2009 with two adjoining benches planted using the same meticulous scientific method, with a third bench planted this past spring. Varietals include Cabernet Sauvignon, Cabernet Franc, Merlot, Chardonnay, Riesling, and Gruner Veltliner. The first three wines from 2011 vintage, released in August, are the Culmina High Hypothesis (a Bordeaux blend), Chardonnay Dilemma 2011 and a rose from 2012. See here for my post on the opening and reviews of the wines. The man whose name is immortalized in one of Canada’s largest wineries, Jackson-Triggs in Niagara-on-the-Lake, stayed on with Vincor Canada under the new owners for four years as vice-president of research and development. He says today that his main focus and impetus was as an advocate for the J-T winery around the boardroom table. He officially retired in 2009 but that only lasted five months. “There’s only so much golf and curling you can do,” laughs Jackson on the line from Florida. He quickly teamed up with former Vincor account manager Andrew von Theichman, who left to start his own wine agency called Von Terra Enterprises. 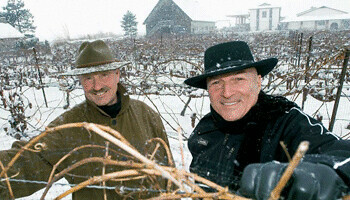 Jackson and von Theichman created the Generations Wine Company and under the label Union now sells exclusively to the LCBO and restaurants as a “virtual” winery. The concept has had phenomenal success. The first wine released at the LCBO was the most successful debut ever for a new VQA wine. Union is essentially a series of multi-variety blends made from 100% VQA grapes in Niagara. 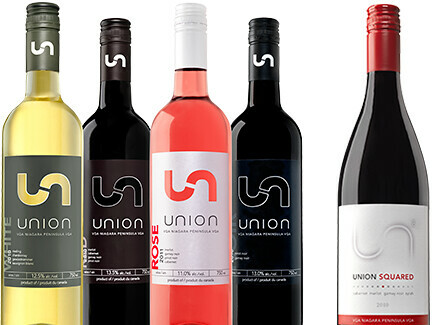 Union started with a White and a Red and has added a Union Noir (Gamay/Pinot), Union Rose, a higher-end Union Squared Red and White for Vintages and is working on a Union Port-style wine if it can get a listing from the LCBO. Jackson took the demise of Vincor in stride, but is pragmatic about it. “The challenge is ‘how are you going to realize your value?’ When you’re the seventh largest wine company in the world it means there are six companies ahead of you that want to buy you out,” he says looking back. 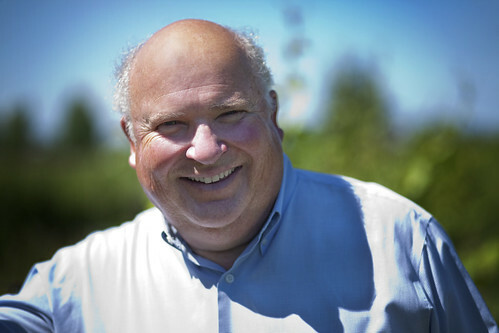 Donald Ziraldo is perhaps the most important ambassador for Canadian wines this country has ever seen. 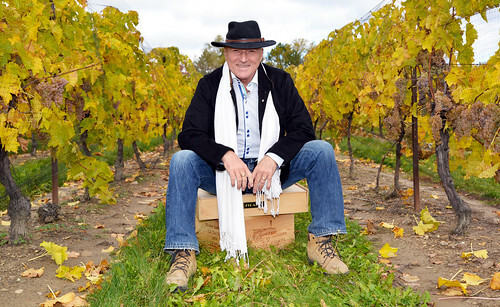 From the significance of the Inniskillin winery with co-founder Karl Kaiser to his relentless promotion around the world of VQA table and icewines, more than anyone, Ziraldo is the international face of Canadian wines. He had planned on staying with Vincor after the sale, and did some international touring promoting both Inniskillin icewines and Robert Mondavi wines (which Constellation also owns), but it was short lived. He “officially” retired from Vincor in November of 2006. Ziraldo has no regrets about first the “merger” with Vincor and later the takeover by Constellation Brands. After he resigned, Ziraldo took some time off. 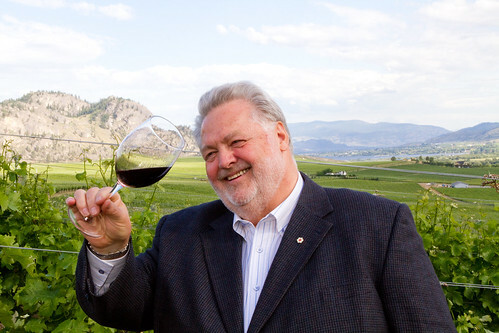 But “after a couple of years of skiing and reading every book ever written,” he was back smack dab in the middle of the Canadian (and international) wine industry. First, he worked to resurrect the 100-year-old Vineland Research and Innovation Centre in Vineland, Ont. (a world-class horticultural facility in Niagara), which, until he stepped in, was on the verge of extinction. 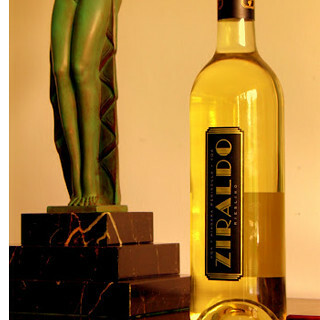 Next he bottled and sold a Riesling Icewine under the Ziraldo label from John Howard’s Niagara plantings. He also planted his own organic Riesling vineyard and is planning to bottle an icewine under his label with his own grapes. But, so far, he’s had difficulty making his beloved icewines. He lost half the crop in 2011 and in 2012 it was too warm for the kind of icewine he wanted to make. He’s made only one vintage of Riesling table wine, the 2011, available only in restaurants. He’s also involved in Senhora do Convento Port wines from the centuries old Quinta do Convento de Sao Pedro das Aguias winery, located in Tavora near Oporto, in the Duoro Valley. Ziraldo was approached by owners Colt Resources of Montreal to breathe life into the 370-acre estate. As managing director, he quickly established the brand in the global marketplace with the placement 30,000 bottles of the 2010 Vintage Port on the American Airlines First Class wine list. Another project Ziraldo has thrown himself into has a family connection. It started when Ziraldo was given an honorary citizenship in Friuli in the town of Fagagna, Italy, where his parents were born. He decided to plant the ancient grape Picolit, which is native to the area, in Fagagna to honour the memory of his parents. Due to archaic DOC regulations, Ziraldo is not allowed to call his wine Picolit because Fagagna is outside of the official DOC region, so he named it Bianco di Fagagna. The wines will hit the shelves at Vintages soon. Of all the projects Ziraldo has embarked since his “retirement” from Vincor, and all the accomplishments throughout his life, perhaps one stands above all the others. At age 64, Ziraldo and his wife Victoria had a baby boy on Dec. 27. It’s Ziraldo’s first child, though, if you ask him, he’ll tell you it’s really his second after Inniskillin. 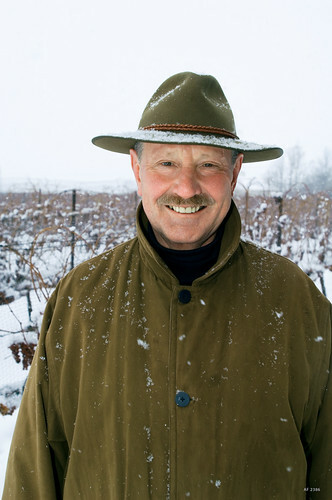 Karl Kaiser, the master of Inniskillin’s wine program for so many years, and the man who made the most famous wine in Canada’s history — Inniskillin’s celebrated 1989 Vidal icewine, which won the Grand Prix d’Honneur at Bordeaux’s 1991 Vinexpo wine fair — has done what none of the other Vincor executives has done. He fully retired in 2006 from the business he loved so much. In hindsight, Kaiser isn’t sure it was the best decision to sell to Constellation Brands. For now, Kaiser is enjoying his retirement, making some backyard hooch, a little travelling and watching his kids, all of whom are working in one way or another in the wine industry he helped build. 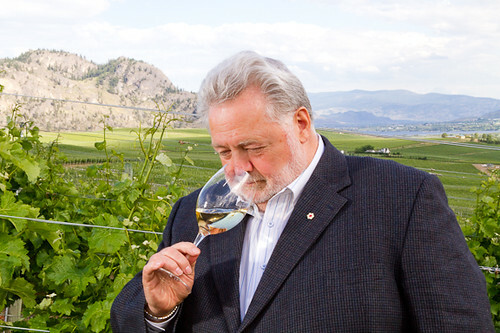 When Ziraldo fought for VQA designation in Ontario, McWatters followed in B.C. In 1988, with Ziraldo being the driving force, Ontario was first to establish VQA, a new set of rules that meant consumers were buying wine that was made with 100% Canadian grapes. B.C., with McWatters leading the charge, followed suit two years later in 1990. 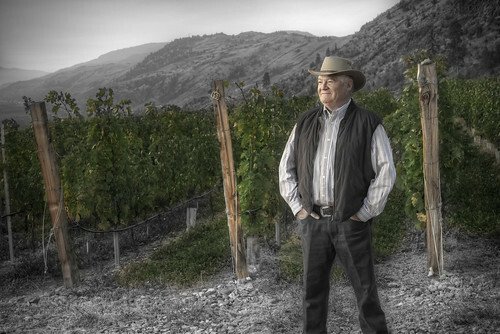 And, as if that wasn’t enough, McWatters has just launched his own legacy brand of Okanagan icon wines and is also launching another standalone brand in June called Time. His McWatters Collection, for now a tiny production of Chardonnay and Meritage (the goal is 500 and 1,000 cases respectively, sold direct to consumer, restaurants and a few stores), is made from his Sundial Vineyard, which is really the famed Black Sage Vineyard (the name is now a trademark belonging to Constellation brands when it bought Sumac Ridge), one of the most coveted vineyards in the South Okanagan. His other project is the new Time wines (“I like the Time font and the name recognition,” laughs McWatters) that were launched in June. He’s making Chardonnay and a red and white meritage from 100% estate fruit. He wants a retail presence with Time and plans a slightly larger production than his McWatters Collection. He’s built a winery on Black Sage Road, where both brands are sold. Life is good for McWatters, much like all the former Vincor boys. They say the word “fun” a lot. Note: This story was originally published in Tidings wine magazine.